If you are a fan of Hindi films, just watch Jab Tak Hain Jaan (JTHJ) for the beautiful tribute to Yash Chopra, at the end. For the wonderful entertainment that he provided to us, all these years, the excellent 3-4 minute salutation (almost certainly, an Aditya Chopra piece of work) with the titles at the end, was very touching. There are other reasons to see this film too, though many of those connect back to the man himself, Yash Chopra. 1. Yash Chopra uses the camera like a pen, and creates poetry out of the sheer brilliance of the camera. And this is not just the superb locations that he has caught on camera or the near perfect sets, but also the emotions that he captures from the actors, just via his camera. 2. Beautiful sites of Ladakh revisited in a film again, the countryside of UK, made for great viewing on the screen. 3. Gulzar for lyrics and A R Rahman’s music. Two of the best proponents of their respective trades contributing to the beauty of the film. On their own merits, and without any other support, these two giants would lead a movie to great heights. Here of course, they are a part of a large canvass. 4. For a change, Shah Rukh Khan does not overact. In fact, he acts “just right”. The intensity of his face, the underplay of his emotions, serves his character really well. Thank God for the absence of his hee-haw way of talking (or is that reserved only for Karan Johar films – either ways, thank God!). I am sure Yash Chopra had a role to play in bringing out the best from SRK. 5. Anushka’s role could have easily have been a two-bit extra kind. But the spunky girl that she is, she makes the most of the opportunity and turns the role into a substantial one. Comes out strong and significant. 8. The trench coats. Burberry, I presume. The bike rides in the mountains. Looks majestic. 9. Aditya Chopra’s poetry and dialogues. Some good lines through the movie. 10. Katrina looks good. Did I already say that earlier? 1. Not much of a story. A bit far fetched. But the glitz covers up for this. 2. Are there really so many bombs needed to be diffused all the time? And while the one guys playing with death can walk into it, unprotected, do the other folks around him have to be equally casual?? 3. Does a foreign country policeman allow a brown faced Indian to casually walk in, claim himself to be an Indian Army person (no checks) and attempt to diffuse a bomb? It’s like on a flight, someone falls sick, and they call out, “is there a doctor on the plane?” – don’t think they’d do that for bombs, “is there a bomb diffuser around here?”!! 4. The second time in a Yash Chopra film that someone bought birthday gifts year after year, but did not give them to the child. Saved them till later, with letters, and the person ended up getting them all together, years later. Lamhe and now, JTHJ. No new ideas around this, Yashji? 5. The film was looong. At least in our theatre. Perhaps because of a long interval too, with lots and lots of ads running in the break. Took nearly 4 hours by the time we were done and out. The film could do with a tighter edit too. Cut 15 min off at least. 7. The other characters in the film, like SRK’s cronies in the army and in UK, Anupam Kher, and all others, have pretty much, no role. Those characters are just not developed. Seems like a waste. Outside of the film, noticed that advertisers are back with in-theatre advertising. For the multiplexes having rare full houses, the additional income from other sources, including advertising, builds sustenance. A closing word on Yash Chopra. 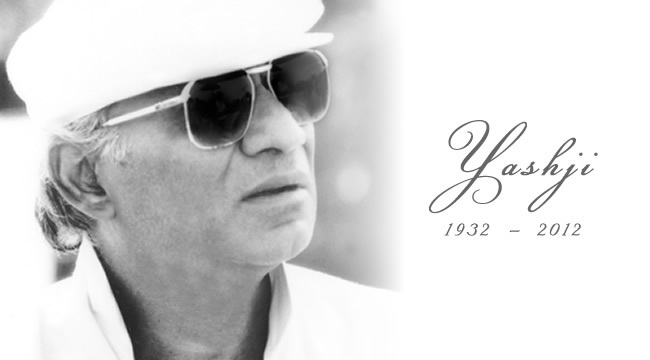 Where other directors of earlier times seem to have lost their connect with the new audience, Yash Chopra continued to evolve himself, kept pace with the changing generations, and kept making his films look good for the times. He made his heroines look good, with the best fashion of the times, even as he evolved from silk and chiffon sarees to bright and colourful short dresses. Rab Ne Banadi.. Aditya ne kyun Banayi?? For a change, went and saw Rab Ne Banadi Jodi, on Friday night, without waiting to read the reviews in the papers. After all, there had not been any big releases for a few weeks, and in fact, I had not seen any movie for a couple of weeks. So with SRK and the YashRaj banner, and Aditya Chopra being the director, there was enough motivation to venture into the theatre, without waiting to see what others were saying about the film. Well, I wish I had waited for the reviews! The film does not work. On any front. 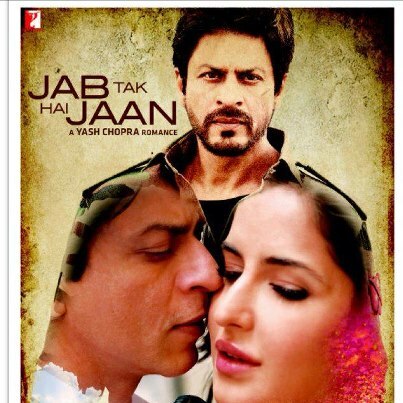 So Shah Rukh looks different – an old 1970s poor man hero kind of look (well, the half of it, in this film). So should I be happy to see the change? Change is good. But it should still be a good change. This look looks awful, was grossly exaggerated and not entirely necessary at all. It was there only to contrast with the other look that the same character puts on, and we are to believe that the contrast being so stark, the wife of the character is unable to recognize the two as being the same person! Only for that reason, that simpleton look was grossly overdone. The new heroine makes a fair debut. She looks cute like the so many new young actresses on Indian screens look these days – well, on television and on the larger screen. Anushka portrays a good Punjabi girl, a homemaker and yet a firebrand who can take on the world when needed. She has a good smile, but overall, she does not have many scenes to showcase her talent. We will have to wait for her next one, or there is a fear that she may go the Gracy Singh way. Cute debut but then disappearing into oblivion! The fundamental idea of the film – of the hero trying to win over his bride and make her to love him – is just too thin, to be carried for 3 hours! There are no other twists or turns. And the fundamental way that the hero attempts to do this, is quite incredible. He changes his looks and appears as someone else, to woo his own wife. Now if the face and dress change can still be imagined – although it still does not get to me, that she will not recognize him – can anyone explain how a shy and introvert kind of person, can overnight, with a change of clothes, become an extrovert, who can be boorish in talk, who can be crazy, drive bikes etc.?? There is no explanation for the attitude changeover, while there is one about the appearance changeover. As I said, the thread is too thin anyway, to run for a full length movie. No other sub-plots, no nothing. A Japan factor is added, for no reason at all. And does not make sense except for being a diversion. The worst part is the end. The character that the hero takes on, and which he is not, woos the girl, and goes to the extent of professing his love. The heroine, married to the original character, is now in a quandary. If she accepts this other character’s love, she would be doing ‘wrong’. And still she is tempted, as that ‘other’ character has been what she always wanted in a husband. So why is the hero doing this? What’s the deal here, anyway?! Ok, having said that, a “good” ending would have been, for the girl to ‘discover’ that these two are the same, and how selfless her husband really has been and what pains he has taken to make her happy. But THAT does not happen. And I think, even in this thin plot, here is where Adi missed the one opportunity to make something out of the story. Here, the girl makes her final call on staying with her husband, and not go with the ‘other’ character as she prays at the Golden Temple, and God gives her a vision that says that hubby is best for her. Why not have her “discover” what her husband has been upto? Here she finds out, much later. And that also because the husband goes out and tells her, in a way.. by dancing with her, instead of the flashy ‘other’ character. This is the biggest loss in the story. So are there any silver linings at all? Well, yes. 1. Vinay Pathak has a fun role, and does a good job. His stars are truly on the rise, and he keeps making the most of the opportunities that are coming his way. 2. It’s interesting to see small town Punjab life. We had seen villages, we have seen cities. This was in between. About the large houses there, about the cinema being a constant source of entertainment, about a “trade fair” being an outing for the family, and things of that nature. Interesting glimpse..
3. The songs.. they are hummable for a while. Don’t expect any of them to be remembered after 6 months also, but for now, there are 2-3 that can stay on your lips, even if its on account of the fact that these are bombarded at you, every few mins, on radio. 4. Finally, the last silver lining was seeing the preview of Ghajini while seeing Rab Ne!! Ghajini looks like a taut thriller, and from the looks of it, an Indianized version of The Bourne Ultimatum. But these are my impressions only from the preview. It may yet be something different. YRF has a tremendous track record. Earlier, with all the films that Yash and Aditya directed and produced. And in recent days, with the great flicks that they produce for others as well, e.g. Dhooms, Chak De, Hum Tum, and scores of such ones. 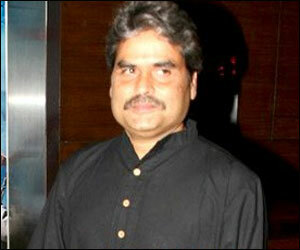 Aditya himself has a great track record as a director and a tremendous reputation as a film maker. The last thing that Aditya Chopra needs to do is to direct such junk. Aditya, tune Rab Ne Banadi… kyu Banadi, yaara??! The title of this post reminds me of early essays that we used to write in school. “A day at the zoo” or “A Visit to the Fire Station”, etc. Well, this is not such an essay to explain the details of a multiplex. Rather it is about a new personal record that I set today. I saw an amazing FOUR movies, back-to-back, today. The most that I have seen on the trot before today, was three. Even in that case, there was a break in between. But today, we virtually saw 4 movies, one after another. In fact, three of them were in the same screen at the multiplex – one got over, and the next one started.. Saw Dhol, first in a 10:45 am show, followed by Loins of Punjab at 1:30 pm, then Manorama Six Feet Under at 3:15 pm, and finally The Bourne Ultimatum at 6 pm. I was afraid that I might have eyes strain or even a headache. But neither happened. In fact, the day went off well. I enjoyed all the 4 movies, some more than others. Each time one goes to multiplexes, and sees more and more and newer and newer food and drink counters come up, one is tempted to try many things, but how many can you have in a single movie. But today, over the day, we were able to try a few different things too! I had not seen a movie for a few weeks now, and I have been finding it difficult to do, in the course of the week. And this weekend, there were many new releases and all of them got decent reviews. And so this marathon was inspired! !